Detail: Which is better for 80-100TPH stone crusher in Colombia, the mobile crusher or the fixed crusher? Compared with the fixed crusher, the mobile crushing plant has reasonable matching with all crushing equipment levels. It has the features of unobstructed discharge line, reliable, easy to operate and energy efficient. Especially the good mobility, it can extend with the raw material, and can be a variety of combinations to meet different product requirements. The equipment is flexible and mobile, it can crush the material on site and with the raw material mining advancing to move, which significantly reduce the transport costs of materials. 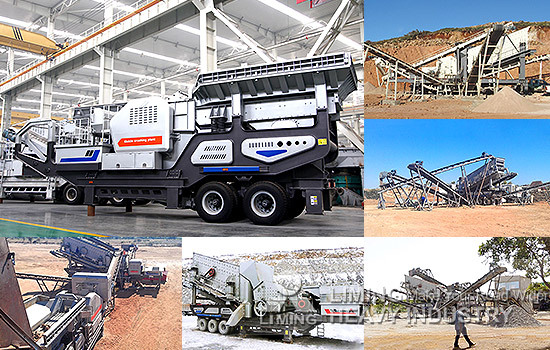 Liming Heavy Industry provide you a set of mobile stone crusher line, it include 600*900 jaw crusher, impact crusher PF1210 and screen 3YZS1848. Believe that it is your most appropriate choice! <<Next：Can you help me to choose a crusher?